Anoushka Mathews is a media professional from Delhi . She is trained in video production from the Xavier Institute of communications, Mumbai and screenplay writing from the Film and Television Institute of India, Pune. In the past, she worked on a documentary film that explores the lives of Africans students in India and tries to situate racism in an Indian context. She also had the opportunity of engaging with oral history documentation, audio-visual archives and ethnographic research at the Centre for Community Knowledge, Ambedkar University Delhi. She was responsible for building an audio visual repository of Institutional Memory at the University. Additionally, she engaged in research and oral history documentation around Kashmere Gate and Shahjahanbad areas. She also organized many audio-visual workshops and training sessions for student volunteers at the Center. In her free time she enjoys writing, reading, dancing and attempting to learn to play the piano. 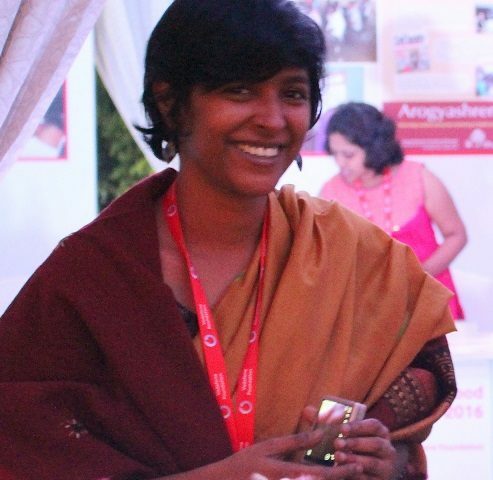 At Score, Anoushka works as a Research and Communications Officer.